Susan G. Komen® South Florida announces its 2018 grantee recipients who will receive funding to help increase equal access to quality breast health care in Palm Beach, Martin, and St. Lucie Counties. The grants will support Komen’s efforts to achieve health equity by reducing avoidable health disparities, which are differences in cancer outcomes among specific population groups, such as race/ethnicity, socioeconomic status, age, disability, and education. According to the Florida Women’s Funding Alliance report, The Status of Women in Florida by County: Poverty & Opportunity, Florida ranks last in the U.S. for women’s health care. Komen South Florida’s 2018 grant funding will strengthen health safety net and breast health organizations to provide care and resources to those in need. Caridad Center in Boynton Beach, FL will provide breast health education and navigation services to the uninsured and underinsured, including a large-population of Spanish-speaking clients. Past funding resulted in a client finding her breast cancer thanks to educational services supported by Komen. Boca Raton Regional Hospital in Boca Raton, FL will use funding to provide mammograms at their Boca Raton facility for the uninsured/underinsured, and operate their Mammovan mobile mammography unit for those who do not have the means to travel to their facility. Florida Community Health Centers in Fort Pierce, FL will provide breast health screenings for the uninsured and underinsured who have little to no access to breast health services in the St. Lucie County area. Past Komen funding helped save the life of a young woman in her 20’s when she found a lump and sought assistance. Genesis Community Health Center in Boynton Beach, FL, a Federally Qualified Health Center, will offer clinical breast exams, screenings,and diagnostics to the uninsured and underinsured. Genesis is a new community partner for Komen. Lakeside Medical Center in Belle Glade, FL will provide screenings and diagnostic breast health services to those who are uninsured, underinsured or high risk because of age, ethnicity, or limited access to care. Martin Memorial Health Systems in Stuart, FL will partner with Komen to help those most at risk for late stage diagnoses. Funds will provide for screening, diagnostics, treatment, education, and navigation for uninsured/underinsured women and men—the hospital has seen an increase in male breast cancer cases in the past year. Bethesda Women’s Health Center in Boynton Beach, FL will utilize funding to support their “Treasure Your Chest” program that provides screening, diagnostics, and treatment to the uninsured and underinsured. Komen program-eligible clients will also have access to the center’s genetic testing programs that contribute to early detection. Pink Tie Friends in Jensen Beach, FL will provide financial assistance to diagnosed cancer patients who can’t afford treatment. Many cancer patients struggle to maintain their homes and families while undergoing treatment. 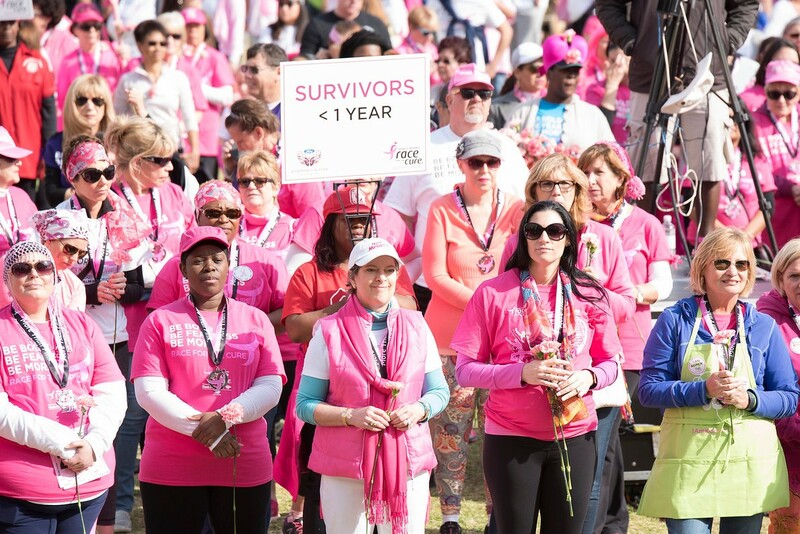 The funded organizations support Komen South Florida’s desired local impact to achieve health equity, build trust in communities where disparities are greatest, and reduce barriers to care by guiding women from education to survivorship. 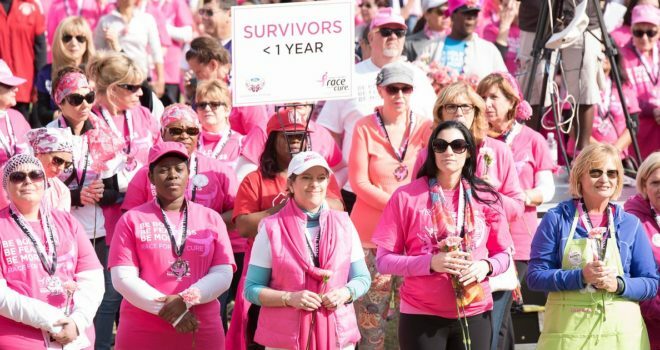 Komen South Florida has provided over $14 million in local grant funding since 1990 to increase education, treatment, and access to care for those at or below poverty in its three-county area. Funded programs in 2017 resulted in nearly 12,000 people reached through education, 1,300 people receiving navigation services, 685 people receiving mammograms, 631 people benefitting from diagnostic services, and 49 people learning they had breast cancer.